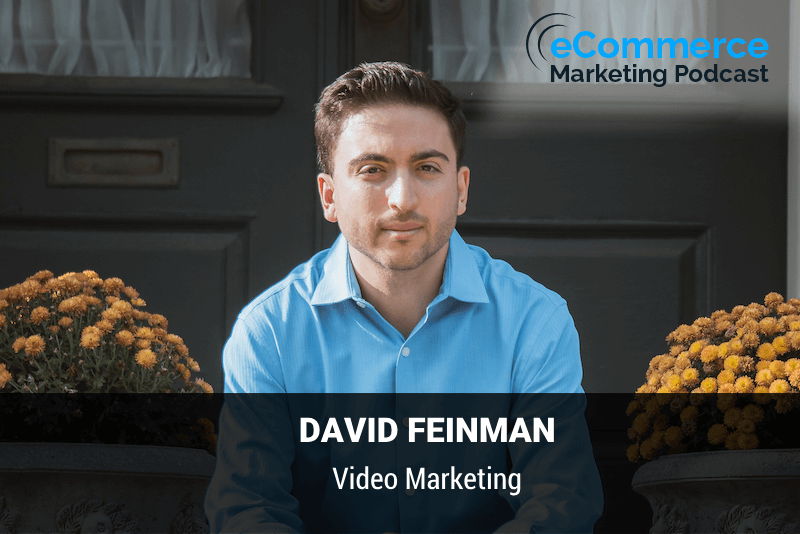 David Co-Founded Viral Ideas Marketing with Zach Medina which creates online video content for clients ranging from small businesses to Fortune 500 Brands. The company's mission is to help brands 'create to inspire.David began his online career marketing concerts in high school on Facebook. He took a 200 person monthly concert and turned it into a 1600 person monthly event through Facebook Advertising. 500 Brands the company's mission is to help Brands create to inspire David began his Online Career marketing concerts in high school and Facebook. He took a 200-person monthly concert and turn it into a 1600 person monthly event you Facebook advertising David went on to start the zombie run which grew from 0 to 35 thousand participants in nine months and 16. Major markets, the race was featured in wired Anderson Cooper and is known nationally throughout the country. Welcome to the podcast David. Hey, so awesome to be here. Yeah. Yeah great. Thanks for joining me. That's quite a resume you have and yeah, so, you know before we really get into it, I know where today we're going to be talking a little bit about video marketing specifically for e-commerce businesses. But yeah, you've got a diverse background. Why don't you tell us a little bit about yourself how you got started and. You got into what you're doing today. Yes, saw Kyle kind of pick things up from the front of our ideas days. You know, I had a couple companies before then, but really about three years ago. We started working with some companies doing some social media management and videos and really found this awesome Nish in creating video content for online social media and really built that up over the past three years made over a thousand videos and actually through that whole process. Have developed out to a platform called fixation. So fixation does basically video editing on the back end for for Brands. So basically have two arms of the company and really really built them both up over time through awesome client relationships. Gotcha. Gotcha. Yeah that that's awesome. And I think this episode is really timely especially because we're just really really in the age of video. If you're not doing anything video then you know, Your kind of heat almost in the Dark Ages these days because there's that's that's really where it's at. You know, as far as e-commerce businesses are concerned. We've got a lot of listeners that have e-commerce businesses that are always looking for ways to Market their business now, If a business an e-commerce business has never done this really before never really entered the video marketing space. How do they really need to prepare a video marketing campaign? What do they even begin? So we always like to say start with strategy. So if you're prepping for a campaign you want to really consider the three phases of the marketing fall and those are awareness consideration decision. So when a customer is thinking about buying. Product used to think about where they going to first become aware of you. So, you know General with modern marketing what we're seeing is a lot of people are becoming aware of phonics through Facebook and Facebook ads. So, you know making your first video to be something that drives people towards you towards some sort of video that showcases your product. It was really the first first place that we suggest that people start so they can start working working on building out their their online audience. Gotcha. Gotcha. And it really doesn't matter what it is that the business is selling whether they're selling, you know, women's Fashions whether they're selling Home Products doesn't really matter that starting with that first video is really where it is as far as. Them doing some type of overview of you know, even if they have a whole Suite of products, I guess they want to focus on what are their main products. What are they known for I take it. Exactly is you're focusing on focusing on set of products to build up an audience and figuring out exactly what piece of content to put there and there's a lot of different options out there for that one resource. I can drive you to know if you're thinking about creating that first video. Don't know where to get started. If you go to our site borrow ideas marketing.com video Builder. We actually have a whole tool there that shows you know, all the different facets of the marketing funnel and what videos fit into what part of the funnel so that way you can start thinking about, you know, whatever your product might be an e-commerce space. You must start thinking about how you can build, you know, that sales narrative for yourself and build out video assets because you know, like we said, it's what. 2019 but video is going to be running the internet it already is running the internet. So if you're a brand that hasn't had to start with that it's time to do it. You know, it's time to time to reduce dip your toes in the water. If not go all in on it right now. I know one of the things that businesses are probably thinking you know this point. You know, they know they need to do it. They know they're probably going to get ready to get started doing something related to video getting that first video out there creating a overview video of their main products or bestsellers. Whatever it is. They're probably thinking okay, you know, I don't have any experience doing this. I don't even know where to begin. Just do they need to hire someone. What do you suggest do? They need to Outsource this? What is your initial advice? Yes, sir. I'm going to give kind of three tiers, right? You know, I'm obviously a make these for a living but there's definitely a number of ways that people can approach it depending on where people are at in the process. So the first one is do it yourself, right? And if you are going to do it yourself, you know, make sure you get yourself set up with a decent amount of Baseline. So, you know, make sure you have some sort of lighting some form of sound to pick up quality sound and you know, and some some decent camera kit can even be your phone. And once you do that, maybe make sure you plan out, you know, what video you're going to create if you use the video Builder tool that I spoke about our ideas marketing.com video Builder you figure out what you're actually going to create. And then go out and creating it for most people. This is actually, you know, once they try to get into it. It actually becomes quite a bit of a challenge. All right. So the next next year that is what I like to call like the do it together video working with a partner to handle that so. We actually on our end. We actually use software that enables us to remote into a business anywhere in the world at them be their producer. So, you know, we'll have them set up actually their phones and modify some basic Lighting and Sound and we'll do it with them, you know on site for an hour two hours and direct them on how to on how to shoot what camera angles we can adjust it. You can adjust the lighting and everything from their phone. The next year that would be hire a freelancer. So, you know, if your if your local your local to your local to the area, you want to you want to go out there and see if you can find an individual or couple small companies to hire to produce your video. This will give you a nice polished look finding finding that freelancer, but it'll it won't exactly, you know won't break the bank as much right, right? Yeah. That was last year is the high-end video production where your. Producing something so on it's working with you on strategy scripting storyboarding and taking your concept from from nothing to a reality layer above it all to is you edit the editing part of it, you know, if you're if you are doing yourself where you are working with a freelancer making sure you have a plan in place to edit the the actual video because that's my mind. That's the new coding right? Like if you need to have a plan in place to get it at it whether using our solution which is fixation or using another solution to do it you. We need to have a plan to get your video looking nice, right? Yeah, I love that breakdown of the different tiers that makes it pretty kind of sweet and simple and I mean these days that just even starting at that first tier. Like you said just doing a basic video with your with your iPhone or whatever smartphone that you have is really where you can easily just get started, you know, before we started recording. I was telling a little bit about our history a time Eastern, you know, we were founded in 2000 and things are a little bit different. Back then I mean there was pretty smart phone or where you know, everybody just had flip phones that had the cheap basic cameras that had just you know, you know a horrible resolution. So a little bit more difficult than and then you had to be concerned about. Okay. Where do you how do you get the video file from the phone to your computer? And you know, it's a whole other thing these days it is super easy. You know, everyone that has a smartphone has a video recording capabilities. In there and I think a large part of the video and you touched on video production and you touched on it is Lighting and Sound, you know at a bare minimum if you have halfway decent Lighting and Sound, you know that you know that that's a that's a big win for you right there. People can clearly see they can clearly hear you whatever it is that you're you know saying that's you know, that's really half the battle from from what I see. Yeah exactly. I mean if you can if you can get your lighting. Downright you're exactly right, you'll you'll your through half the battle. But the other thing too is you having a plan and you know, it is fairly simple to once you get the Lighting and Sound on to get your get your recording right but to get your editing down as a different story. So this is one part of the cop one part of the process that I would personally suggest Outsourcing it would be that editing. You'll find a trusted partner be it fixations Shameless plug for bit, you know anything. You know any other solution edit, you know right to see if that's something you can you can work out so you don't have to be sitting there for 10 hours making something look great. Right? Right, but that is true. That's not some great advice because once you get it together, you know, there's even some small things do does take a little level of knowledge as far as editing, you know, like if you want to add some sounds and background sound to it. You want to add an intro outro? You know those little small things that for for a Layman somebody's not it doesn't have any experience with any editing tool that can take you, you know hours and hours to kind of figure out how to do whereas if that's something that a freelance can do in, you know matter of minutes and then you really wouldn't pay that much. So that's that's some great advice. I would definitely recommend it as well. Now, of course, we've already established that the video marketing and creating videos is really applicable really for almost really any e-commerce business. That's. Pretty clear now. Once these businesses have created the video that got something really nice and you know fairly polished what and want to get it out there what really social platforms lend? Well the video that you recommend. We seen the most powerful tool being Facebook and Instagram. Okay, so, you know running running Facebook Facebook video campaigns Works incredibly. Well making sure you're using that Facebook pixel and if you don't know what that is, definitely give that get a good rabbit hole down Google. Just investigate that a little bit for yourself LinkedIn video to if you're selling something be to be that that works really well linkedin's really pushing it right now, too. So you're going to get a little bit more that again organic reach right now, right, you know, I mean, you know simple videos Instagram storix, right like you. Working those everyday because a lot of engagement on Instagram right now is happening through the stories, but but really but really am it's a matter of you know, it's not just about creating that video editing it playing out. It's also about that distribution. So having having a plan of what channels do you have as a business, you know, sit down and write out, you know where your business is online and figure out if you can plug your video and step because it might be a matter of making one video into a couple different. Versions for a couple different places for different couple different places on the web. You know, if you're selling your product on Amazon, you might want to you might want a video on your Amazon product page or a few videos on your Amazon product page just to figure out where you're going to distribute that video why you're going to distribute that video there and to make sure the format's right for the place. It's got right, right. That's that's so true because all of these different platforms, there's slightly different specs based on you know, what they require for the formatting so you definitely. Honey, you know make clear on that and one thing I when I you mentioned LinkedIn, I know LinkedIn like you said they're doing a big push for video. It's one area that does not really fully fully saturated yet as far as videos. So getting in there doing video, I think can have a if you're in the B2B space that is can definitely have a nice impact where it's not you know, they haven't been totally just saturated with just so many videos that yours gets lost in the shuffle. So yeah, that's that's definitely a. Great thing to consider as well. Now whenever we talk about video and video marketing and the most people that think of video marketing they immediately think of a viral video, you know, everybody wants to make a video that goes viral and then, you know, I can think of a few that have gone viral. I know the company. Squatty Potty they had a viral video. That's the company that makes the little stool that helps you, you know eliminate and do the number twos in the bathroom a lot more effectively. They they really got bigger. They made a kind of a crazy viral video of a unicorn that was doing the number two and then on what was coming out was like a rainbow and so that was one that really just kind of took off but you know, not everyone is going to have that magic and make an instant viral video. Are there things that a business can do to you know, if they're really trying to push something and they want to make something catchy that has the potential to go viral. Is there certain things that they need to do to you know to try to make that happen? Well, we always have to say is go to think think. Oh think a little bit about who your audience is and think about going microbial. So I'll tell you those three. We actually have a client who. They sell device for trucks and and there's really only you know, a couple tens of that you maybe tell it's called tens of thousands of purchasers of this particular item in the entire country. So for them going viral is reaching the entire list of purchases of ensure they have on the list already. So if all of them are able to watch their video and become aware of your new product, they've gone battle because. That's that's their market. So you really have to know a lot of times when we're going through these campaigns. It's often oftentimes a little bit of a therapy session with the clients figuring out, you know, who who are who's your actual target market? A lot of people don't know they think that everyone is their target right in reality, you know, if you're a business that's going after everyone. You're really going after nobody because there's so many micro niches within within the world. That you know, if you're able to serve one you'll have a great business. So you just kind of focusing on on that and Nish and creating that video for that Niche is really where virality starts to happen. Right? Definitely that is so true. I mean everything you said as far as you know going viral really is just reaching the majority of people in your particular Market, it's not everyone. I think people have a kind of a glamorized idea of really what going viral is. And you know viral isn't just you know, having your ad mentioned on the local news or anything like that. That's not that's not really viral because you know, yeah, you may be reaching a lot of people but all of those people aren't necessarily your target market, so that's that's some great advice, you know, you really have to narrow down. Who's your Target? And what would it what's the goal and how many people are we trying to meet and then what was the most effective way to do that via video? So yeah, that's a that's some great advice. Now as far as videos are concerned. I know there's a lot of elements of things that you can put in to the videos as far as content is concerned and I know you've course if senior Sheriff are of marketing videos because I don't you do what do you feel are some elements of Unforgettable videos that. Potty videos was is actually up there and one of my favorites and slack put out a video. Okay. That was awesome. I would drop that in the bucket of what's called a story testimonial. Okay. So for those of you who aren't familiar slack is like a messaging app for your computer use the monks PBB clients and the video. That put it together. I was becoming called sandwich video. They're out in California and they actually use the product and the whole video was about them using the product. So it really and it was it was humorous as funny Incorporated, you know, all the trappings of the internet the cat photos, you know, everything that you would you know, you would expect to be in a nice little viral video was in there was in their videos this. Lungs nice little this opportunity and did really really well for them. So that's that was that was one of my favorites Squatty Potty Squatty Potty. I think did well in the back of the Shark Tank Shark Tank success, right and they actually run ran tremendous amounts of ads against that video as well very, right and then use that kind of shock Factor humor of like if you actually look at the way that video was made that that was like it's a very. It wasn't by chance to do it. It's been a really large amount of money or right I could imagine, you know for sure actually built a mechanical unicorn. Okay. Wow. Yeah, they're no that wasn't cheap. It's just so so hard for any of these videos. I mean that they are the ones that you could say go traditionally viral which is millions and millions of views. They are really really really well thought through videos and campaigns that. Hundreds of thousands of dollars. Yeah. Yeah, that is true. And I think what you mentioned as far as one key element that I've seen in a lot of just advertising and really commercial advertising you can you can definitely learn a lot from these big companies that they're actually produce commercials and you know kind of take elements from what they do in to put into your own video one big thing is the shock factor. I see so many. Campaigns and commercials these days where they're pushing that shock Factor because especially these days when people are so accustomed to just skipping through ads or forwarding through ads or are just tuning out doing your commercial the shock Factor, you know element is something that really pulls people. I'm thinking of some the ads that Geico runs and you know, they're they're notorious for doing the shock Factor as the one that they did where it shows the woman. I think she's getting a massage. Didn't they show the window the screen kind of pushing over and then the whole room kind of get stumbled over and you me first look at that. You're like wait what the hell is going on here? Everything is toppled over and then the whole screen opens to just you know, their goal Geico logo because they're their whole thing was, you know, the limited amount of time there and so things like that I think is really key and you have to be mindful of the fact that people are so conditioned these days and so. Impatient and not going to really sit for just a traditional video unless you catch them right there at the beginning and have something captivating to pull them in and I think you may lose them. They will tune out or just click away exactly. What do you want to really capture them and help them with that first couple seconds. Yeah, that's that is truly key and stop scrolling. Right? Right, right. Yeah, and so David yet the appreciate everything that you have provided to our listeners. You provided a wealth of information on how to get started with video. Getting and I know it's going to go a long way once our listeners and one of the things that I've always like to do now is kind of switch gears and just find a little bit more about yourself that I always ask my guests. What's what's one thing that you think our audience would be surprised to know about you surprised to know about me if I should so outside of business. I'm someone who likes to stay pretty healthy. So I actually training for an Ironman right now. Okay, I bike swimming run probably too much for my own good like it's always a good time. Okay, great that that is awesome. Yeah, those things are intense, but I think I've watched the few of those several years ago. They televised one of those and those things. Wow. Maybe I can't imagine you catch it. The one doing the actually in Maryland. It's you do for those who don't know Iron Man you swim to. Miles like a hundred twelve miles and then you run 26.2 all back-to-back. You've got 17 hours do it. Okay, and then your days wrapped up. So I've kind of done a little journey they to do that. So I'm excited for that. Okay, great. That's awesome. I wish you well with that. I know it takes an intense amount of training to get to the point where your body is just. You know, I just at a point where it can handle all of that. I'll let you know when I hit that point. Okay, great. Sounds good. Definitely. Keep us posted. Well David. Yeah. Yeah. Well, thanks again for everything that you've shared now. Our audience wants to get a hold of you. What's the best way to do it? Sure. Just reach out through our website. I'm gonna give you guys the flick station website. So it's fixation not IO f l IX a tion dot IO just reach out to us through there was chatter. Sight and for your audience, I guess I can give you guys like to free editing hours if you want to try out. So just plug in the code on me star and we'll hook you guys up with some editing to get to get whatever you guys need added it. Okay, great. They appreciate that bonus to our listeners out of the I know that they'll take advantage of that. Yeah and adding I was like 35 bucks each. So it's like 70 bucks for free. So, okay. I hope you take advantage of it. Okay, great. That sounds like a great deal. All right, David. Well, thanks again for joining. It is here on the e-commerce marketing podcast. We appreciate your time and your information on digital marketing. You have a great day. Thank you so much for having me. Thank you for listening to the e-commerce marketing podcast. You need to get more feedback and reviews from your customers and improve your customer retention. We have made it easy to do all of this with our Advanced customer feedback software. Just visit get OS i.com. Back and sign up for a free trial today. That's get OS i.com forward slash feedback.